Attention Green Hills Curious Cats - Our New Office is Almost Don! 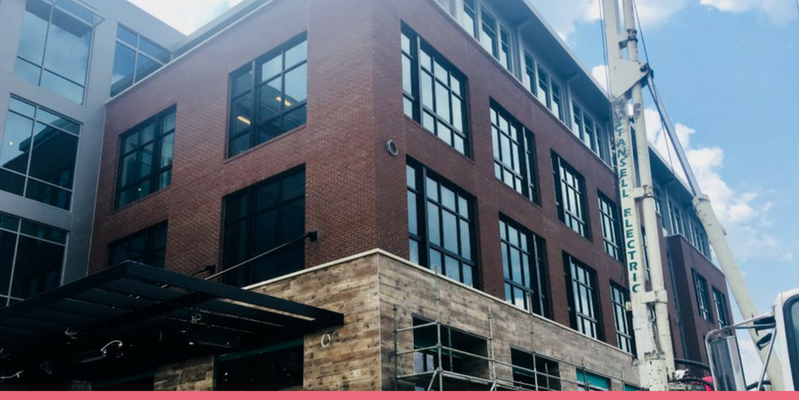 For anyone who lives in Nashville, specifically the Green Hills area, you may have noticed a building across the street from Trader Joe’s that has been under construction for a couple months now. Well, Curious Cats I’m here to tell you that your wait is over! Green Hills Pediatric Dentistry is anticipated to open its doors this summer in the new Vertis Building! Dr. Brittany Adamiak and her husband Mark have lived in Green Hills since 2010. Since moving to our beloved 615, she has had such a heart for the Green Hills Community. She and her team have been working ever so hard and are ECSTATIC about this new venture. The Green Hills Pediatric Dentistry office looks over Hillsboro Pike and the Hill Center and is only a hop, skip, and a jump away from local schools like Lipscomb Academy Elementary, Primrose, St. Bernard, Temple pre-school, St. George and Woodmont Christian Preschool. Just to name a few. Pretty ideal for moms and dads. Although, going to a doctors office can feel a little daunting, maybe even a little stoic, not at Green Hills Pediatric Dentistry! Dr. Brittany wants her office to feel more like a home but still possess a professional environment. With that in mind, she designed the space to be bright, cheerful and welcoming. She even has added a quaint kids playhouse in the lobby! This is where all of the Green Hills Kids can have their own space full of books, toys and games while their parents relax right next to them in the lobby. 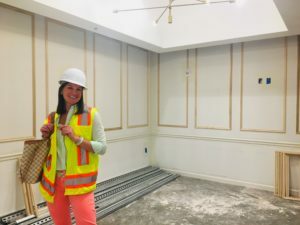 As the build-out progresses, she had made an effort to support fellow small businesses as well as neighboring Green Hills businesses for things such as furniture and light fixtures and is still looking for some local artwork to add to the space. 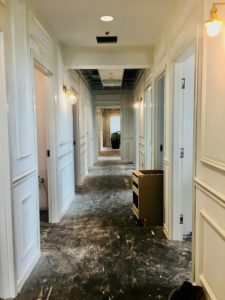 There will be other awesome businesses in this building such as Corepower Yoga, La Bella e Famosa, Floyd Law Group and some yummy restaurants to name a few. Now Curious Cats, if that doesn’t do it for you click here to find out what other businesses will be joining us in Green Hills. You Cats remember to floss and we’ll see you this summer!